You may be interested to learn where today’s popular folding knife brands are produced. 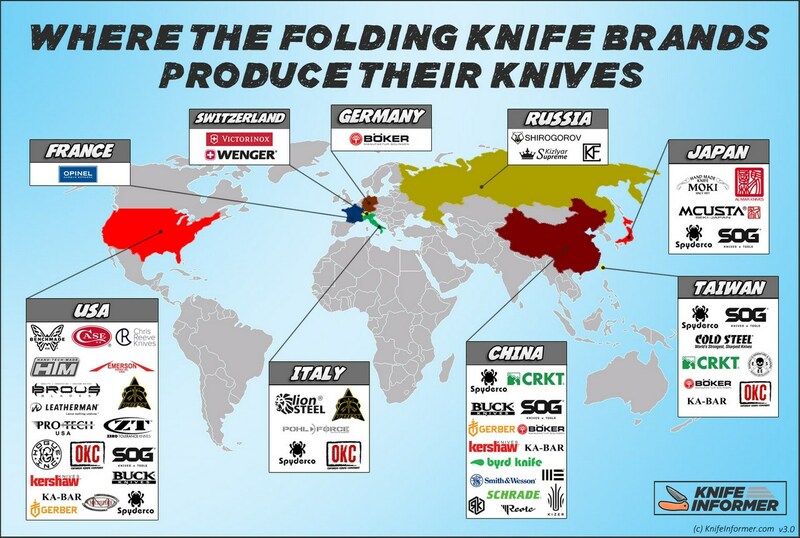 Our handy infographic below shows the countries in which our favorite pocket knife brands produce their knives. It’s great to see the USA is still favored by many of the top brands, but knife production today is truly a global marketplace.